People like me remember that Sarawak Report, which attained gospel status (at least in the eyes of Opposition leaders and lackeys) after Malaysia's May 9 general election, was started only to go after Taib Mahmud, the former Sarawak chief minister and now its Governor. 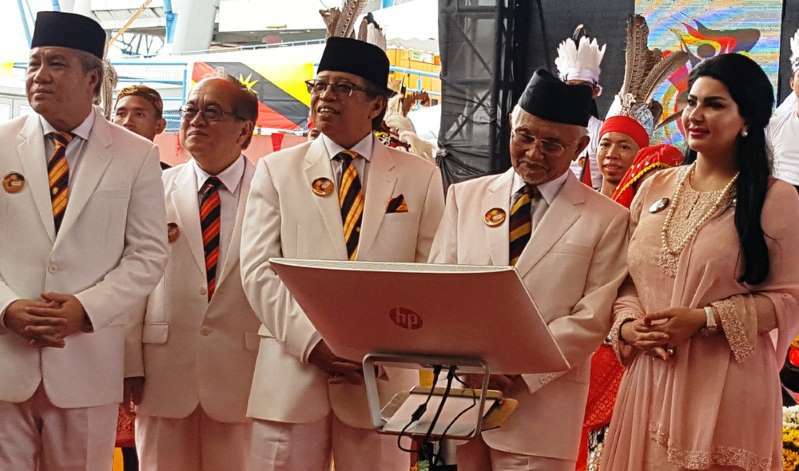 After the fall of Najib Razak, an emboldened Clare Rewcastle Brown, the high priestess behind this gospel portal, promised to renew her crusade against Taib. On May 21, in Change will come to Sarawak soon, the British citizen said "more stories (on Sarawak/Taib) would unfold". Regardless of the fact that Taib was Dr Mahathir Mohamad's close buddy. True enough, last Friday the Sarawak Report published Taib's secret interest in Sarawak's Petros Venture: EXCLUSIVE! In a nutshell, the article suggests a shady, even unholy, link between Petros, the Sarawak state oil company that is somehow embroiled in a post-GE tussle with national petroleum corporation Petronas, and a company called Southsea Energy controlled by Taib and one of his sons. It also suggests that the current campaign in Sarawak to protect the interest of Sarawak (starting with its oil revenues) is "no more than a sham policy". "There is nothing surprising to Sarawak watchers about what appears therefore to be emerging as a no more than a sham policy to ‘return Sarawak’s oil revenues’, when the priority appears to be to yet again provide the Taib family and its cronies a lucrative grip over the vaunted Petros project. "For the entire past half century Taib has identified Sarawak’s interest as being what enriches him personally. "It is not even surprising that the obedient former AG Gani Patail chose to ‘clear’ Taib back in 2013 when presented with an MACC report, much in the same way that his successor ‘cleared’ Najib." "What is surprising is that the present government appears willing to tolerate this drift in events, as the supposedly failing Governor makes yet another grab at the riches of his state – old habits die hard." The Sarawak Report's exclusive was clearly timed with Sarawak Day, which was yesterday, but it did little to tamper with the celebrations. There's an air of liberation and power about Sarawak these days. But there's also this rather disturbing article, though: No need for Sarawak to quit Malaysia (to pursue all its rights under the Malaysia Agreement 1963). 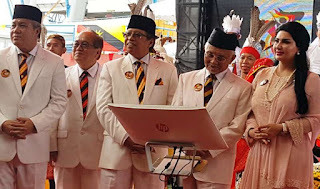 The article quotes Chief Minister Abang Johari throughout but the accompanying photograph and caption are all about Taib Mahmud. The man Clare described as Malaysia's veteran kleptocrat is clearly very much in control.